“One Cut of the Dead” is a horror-comedy zombie movie that was made for $US27,000 and has made 250 times that in Japan, according to The Hollywood Reporter. The movie has sold internationally and is expected to double its current gross of $US7.2 million when all is said and done. Critics love the movie, too, and it has a 100% critic score on Rotten Tomatoes. 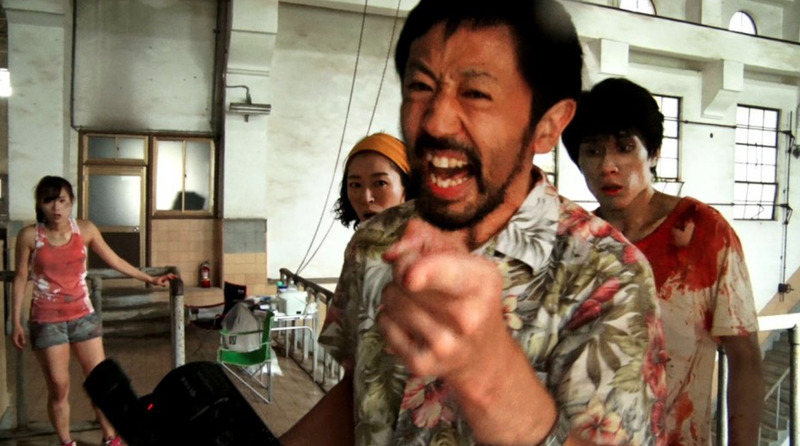 “One Cut of the Dead” is a zombie-comedy that opens with a 37-minute take and was made for $US27,000 – and it’s taking Japan by storm. According to The Hollywood Reporter, the movie – which was written, directed, and edited by local filmmaker Shinichiro Ueda in eight days – has made over 250 times its budget at the Japanese box office, where moviegoers receive discounts for repeat viewings and showing up in zombie costumes. And it shows no signs of slowing down as it’s set to get a wider release through October. “One Cut of the Dead” has grossed $US7.2 million and THR reported that it’s projected to make double that when all is said and done. The movie originally opened in an art-house theatre in Tokyo last November, distributed by the Enbu Seminar drama school. Then it arrived at three cinemas in Tokyo in June after gaining buzz throughout the international film circuit. Now it’s playing on 200 screens and has been sold internationally to South Korea, Taiwan, Hong Kong, Germany, the U.K., and Scandinavia, according to THR. Despite an unknown cast and a micro budget, the movie has managed to gain plenty of buzz with audiences and critics alike. According to THR, it got a standing ovation and won the Audience Award at this year’s Udine Far East Film Festival in Italy. It also has a 100% critic score on review-aggregator site Rotten Tomatoes based on 10 reviews, including from Indiewire, Variety, and THR. Variety called it a “marvelously inventive horror-comedy” that “breathes new life into the zombie genre.” It also has a 100% audience score based on 23 user ratings.